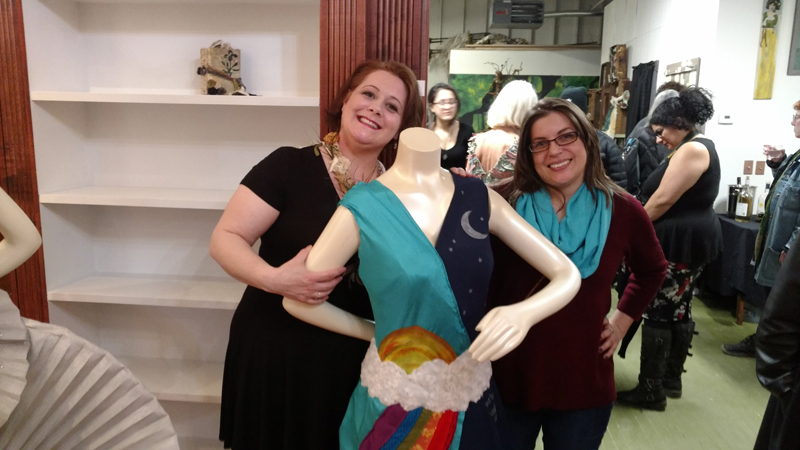 In March of 2018, I participated in a Mixed Media Dress Show at Two Lakes Studios in Mayville, NY. 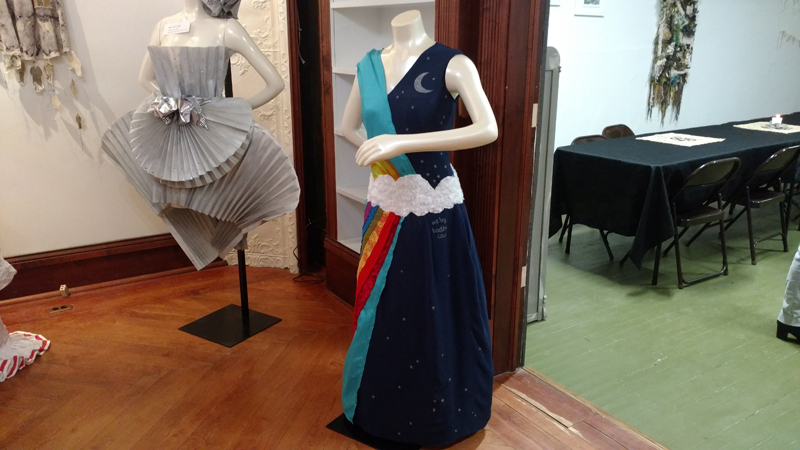 The dress for the show did not have to be wearable, since it would be displayed as a piece of art, and it needed to be mixed-media (more than one media). 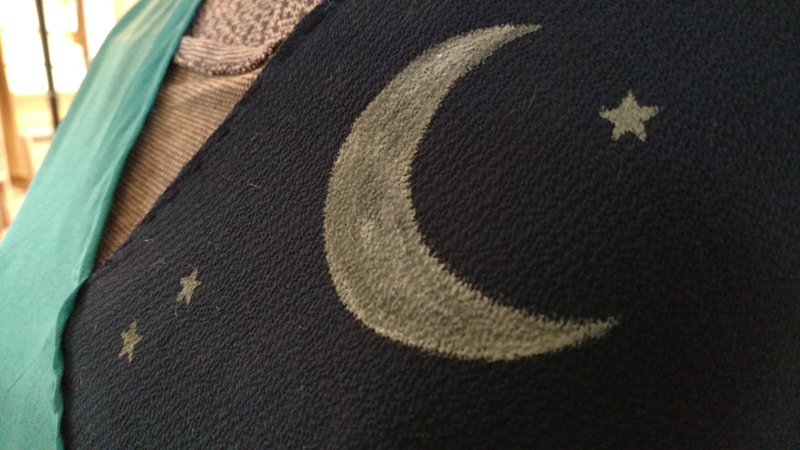 I used fabric and acrylic paint. 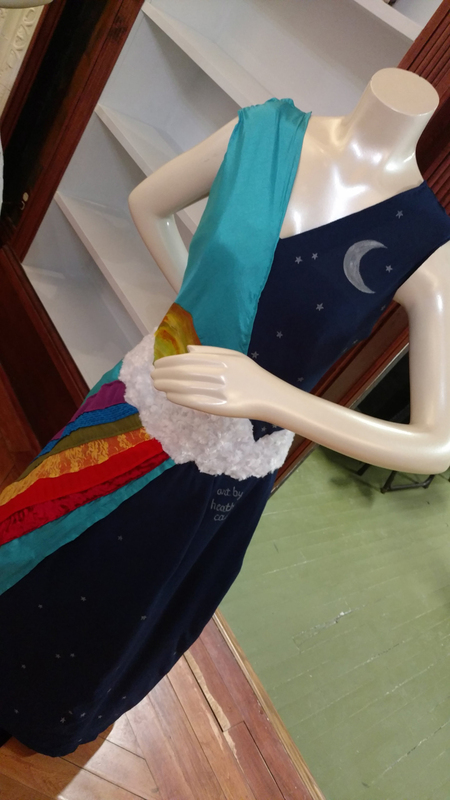 My concept was a half-day, half-night dress. 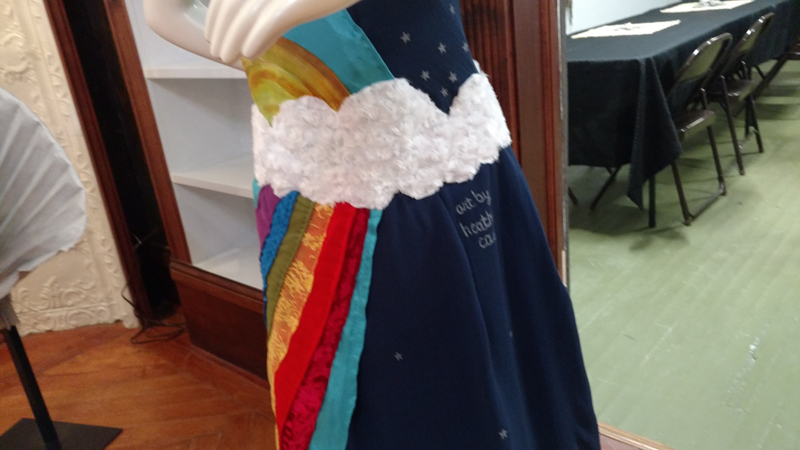 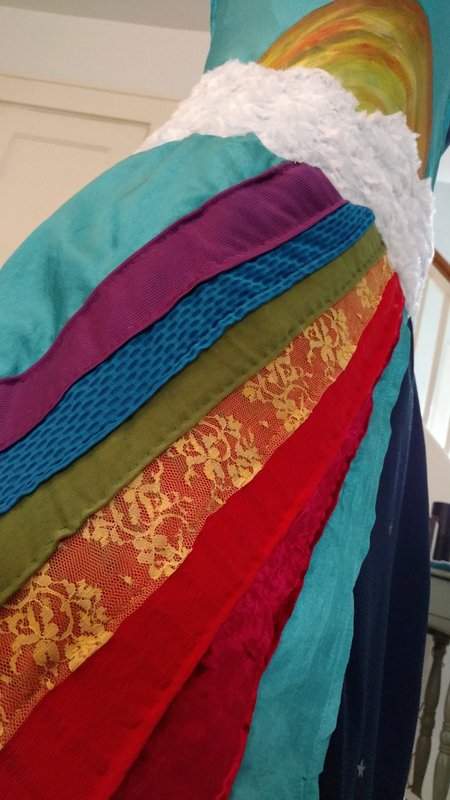 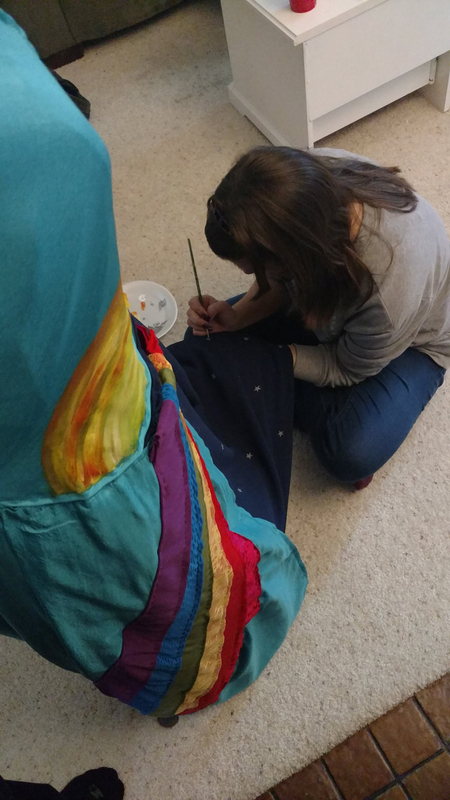 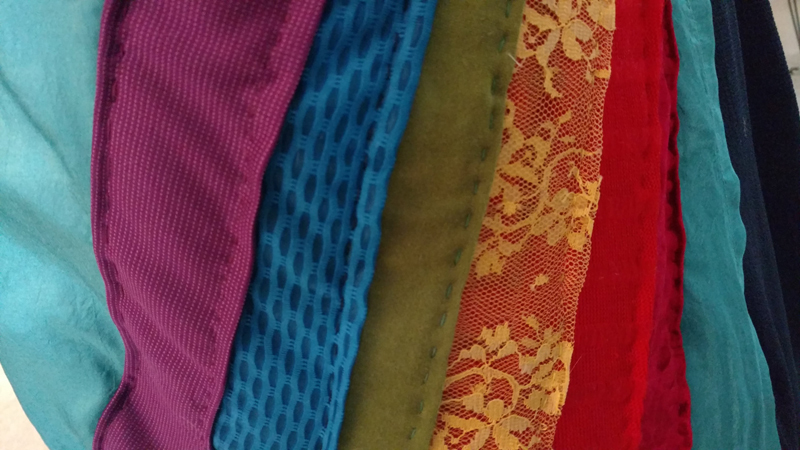 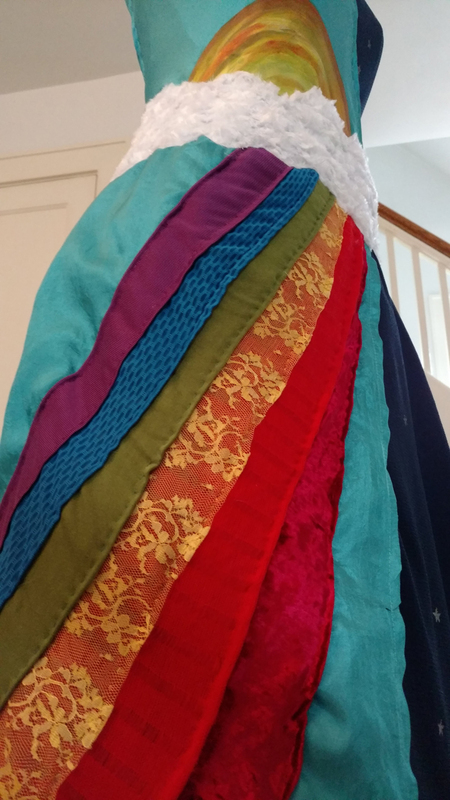 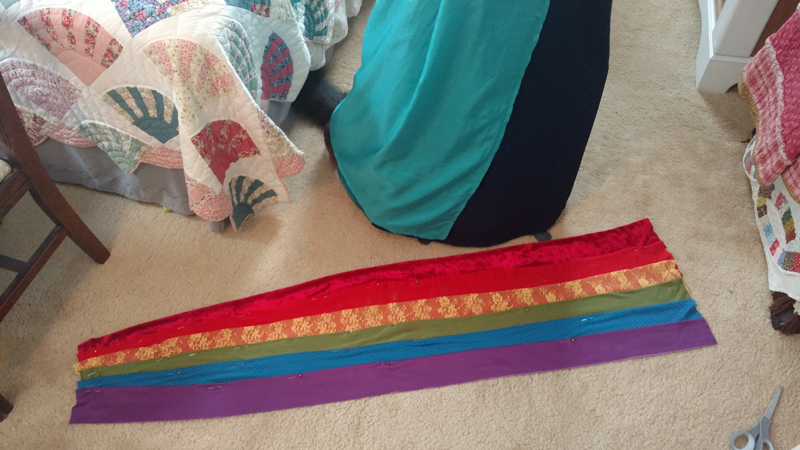 The rainbow going down the skirt of the day side is made of different materials and each material has a different texture. 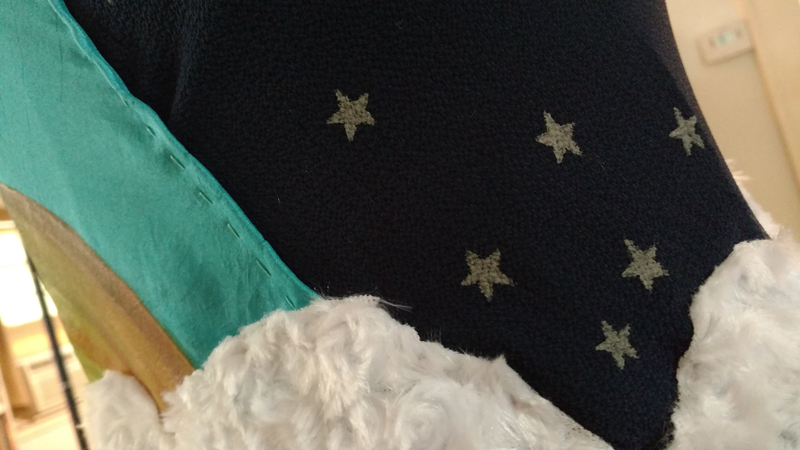 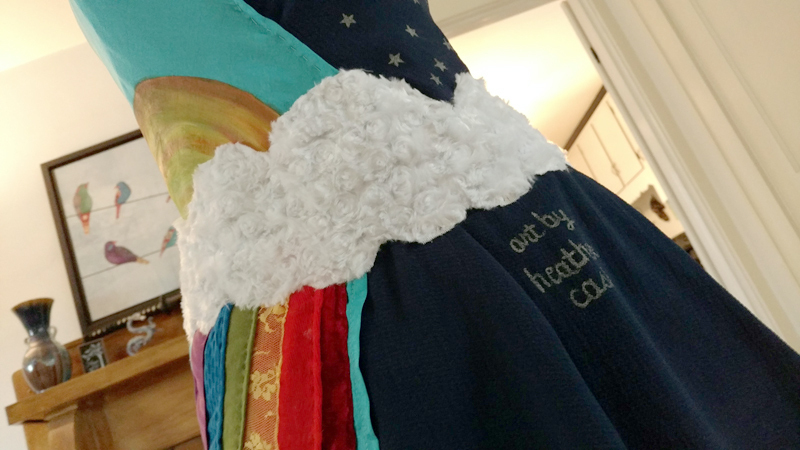 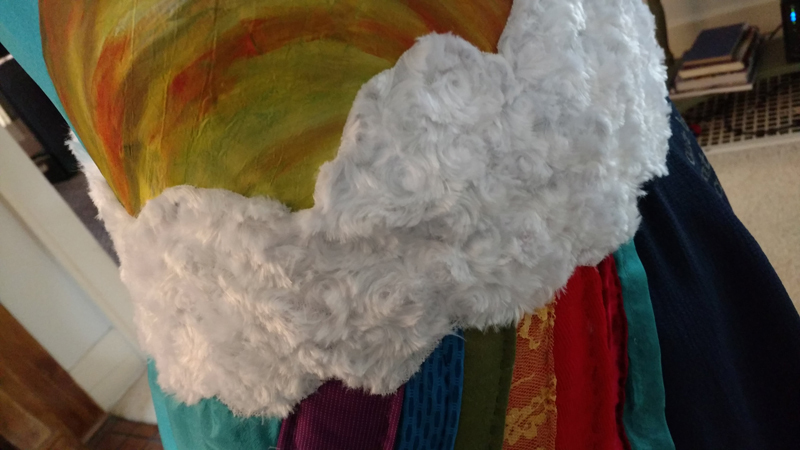 For the clouds, I chose to use a very soft, fluffy fabric to mirror what real clouds look like in the sky. 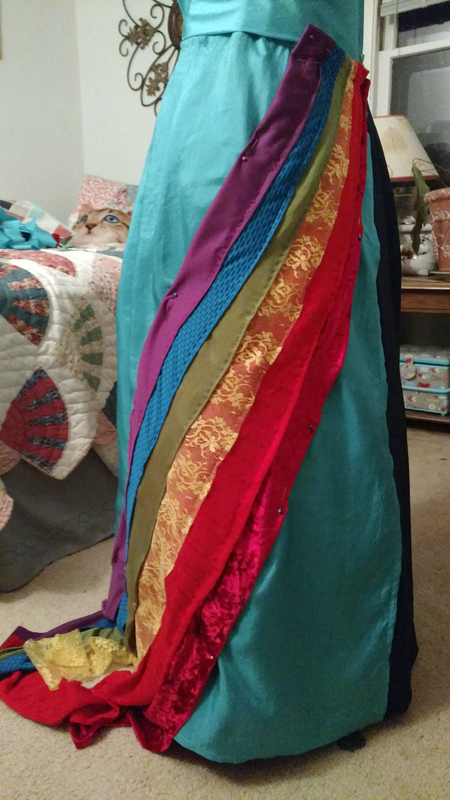 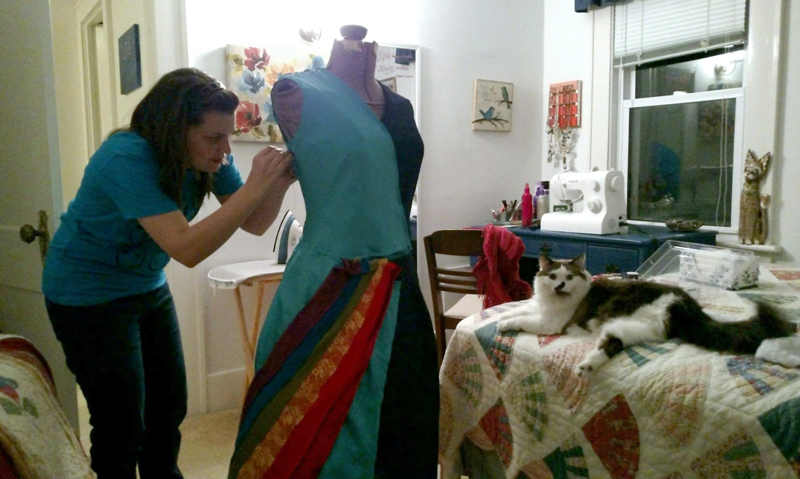 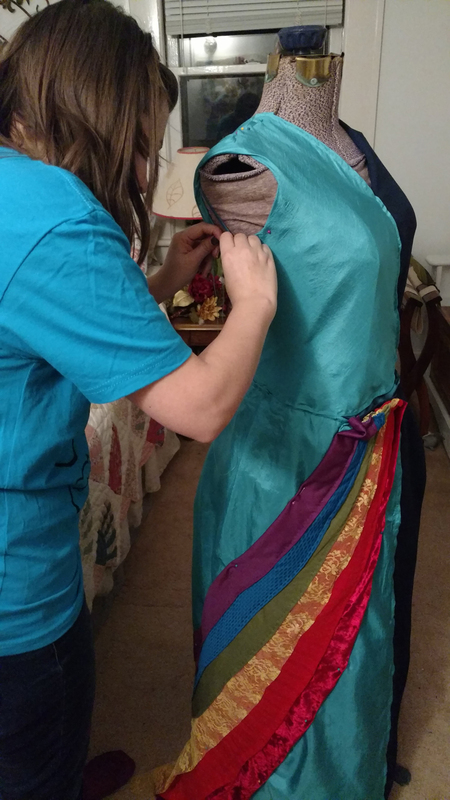 All of the sewing was done by hand. 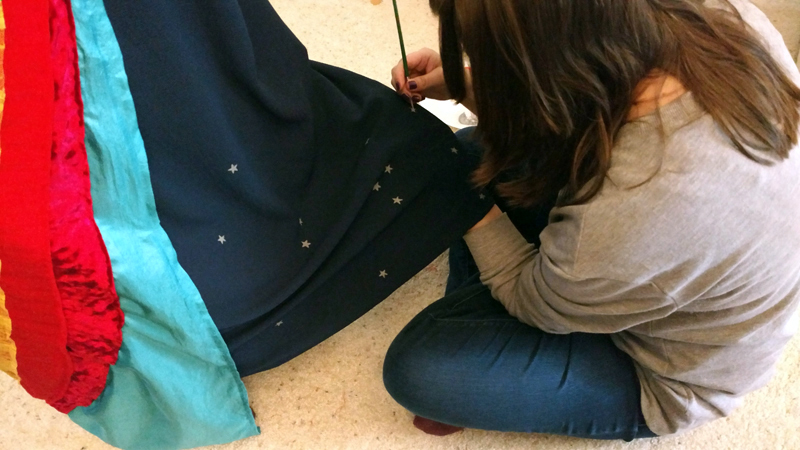 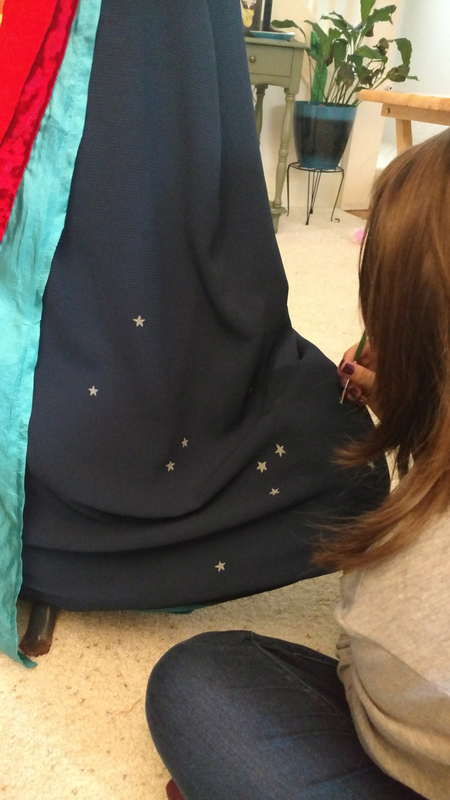 I painted the sun, moon, and stars with acrylic paint plus Liquitex Fabric Medium. 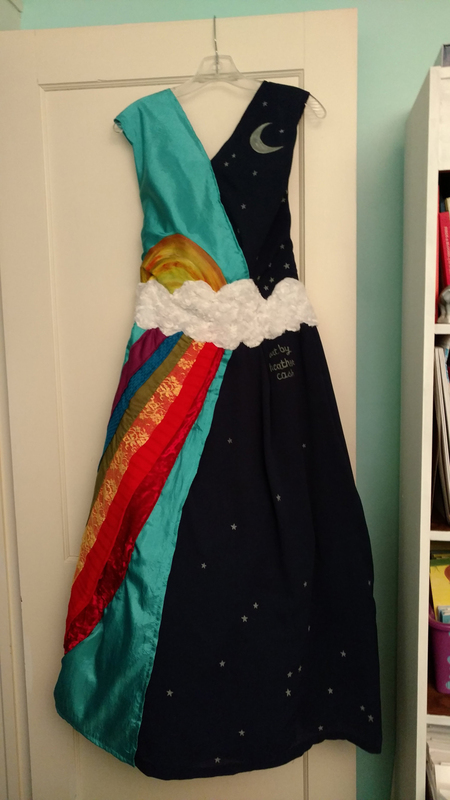 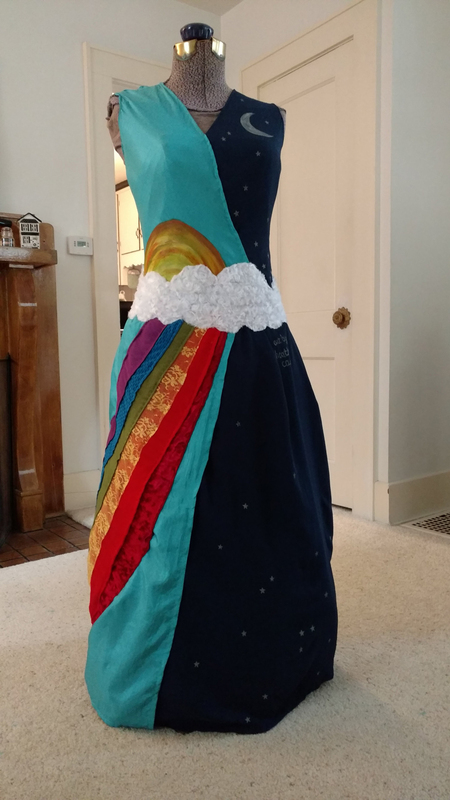 In total, this dress took me about 30 hours to complete. 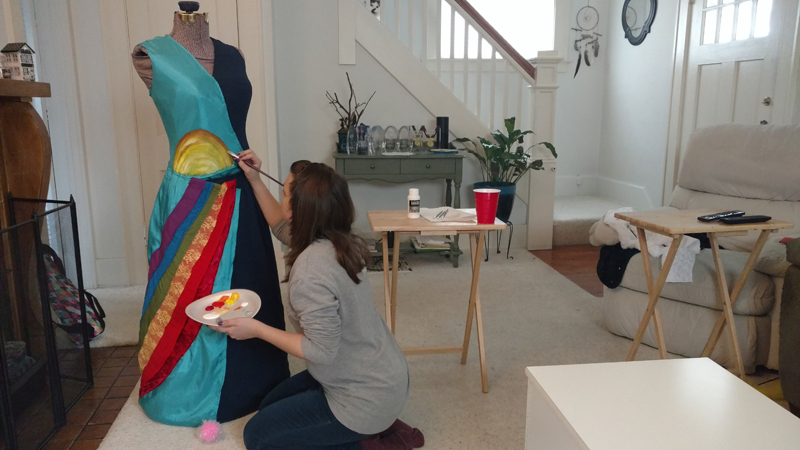 I was really happy to participate in such a unique art project! 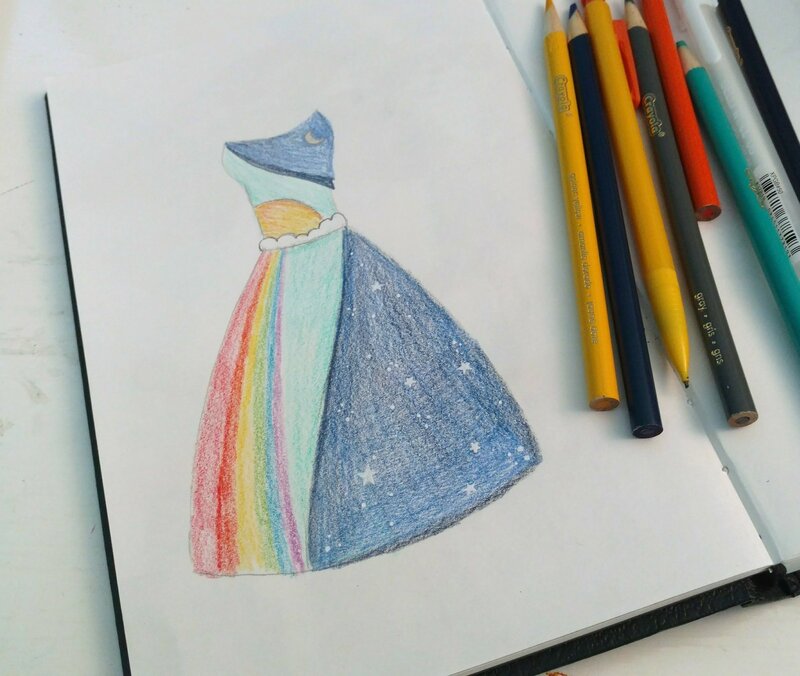 I think it’s good for the creative brain to look at art in a different way every once in awhile.